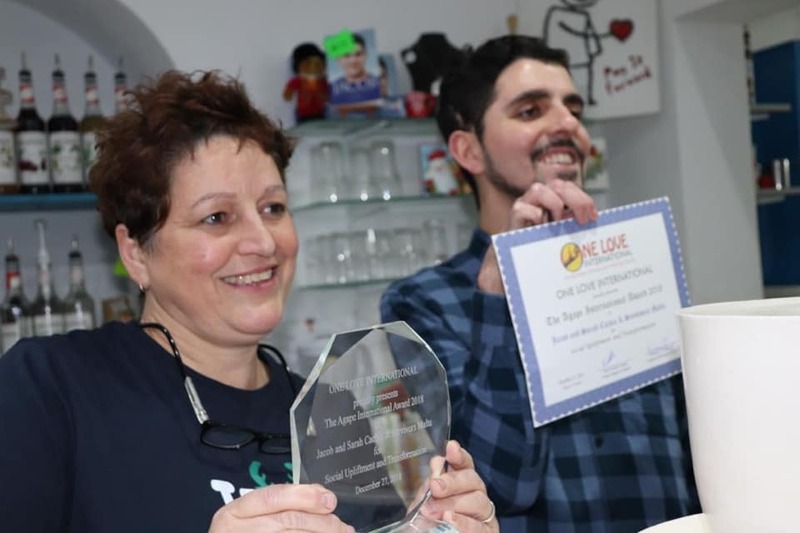 On December 27th 2018 we were honoured to receive yet another award; The Agape International Award 2018 for Social Upliftment and Transformation on behalf of our NGO Survivors Malta. The award was presented to us by Krishna Brown, Chairperson for his NGO One Love International which is based in Madrid, Spain. The NGO seeks to identify, recognise and award great leaders, entrepreneurs and innovators in a variety of disciplines related to education, youth upliftment and social transformation and innovation. The AGAPE INTERNATIONAL AWARD was created for such a purpose and is one of the NGO’s seven Initiatives called STAR AWARDS PROGRAMME- Motivating greater achievements! So very proud of these people who have gone from strength to strength and never think about themselves and always thinking of others. They truly deserve this honour and thank you for honouring them. Well done another achievement to add to the list. Congratulations on winning this award; thoroughly deserved, a worthy winner!